Collapsible C is the seventeenth to be launched. By 2am, Titanic's forecastle deck was almost completely submerged while the forward well deck was starting to flood. Seeing this must have been a frightening sight, considering that both of these decks used to stand about 40 feet above the water. as the forecastle and well deck began to submerge. 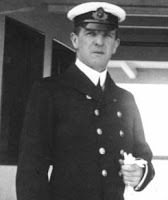 After firing the last distress rocket, Quartermaster George Rowe was ordered by Captain Smith to take command of collapsible lifeboat C that was being prepared by Chief Officer Wilde and 1st Officer Murdoch. Once the lifeboat was ready to be filled, Wilde leaves Murdoch to load the lifeboat while he goes to assist collapsible lifeboat D on the port side. 1st Officer Murdoch began loading the boat with the women and children that were standing near by. Murdoch allowed men to board the lifeboat, just as long as all the women and children in the area were aboard first. Unlike 2nd Officer Lightoller, who allowed women and children only, Murdoch loaded women and children first. Many of the men who survived in a lifeboat, most likely had Murdoch to thank for it. J. Bruce Ismay, president of the White Star Line and owner of Titanic, was among the group of people that were standing near lifeboat C. Ismay spent most of the night helping passengers into the lifeboats, but once everyone in the area had boarded, Ismay jumped aboard as well. Watching Ismay leave the ship, didn't sit well with many people. Yet some thought it was acceptable since there was space in the boat. 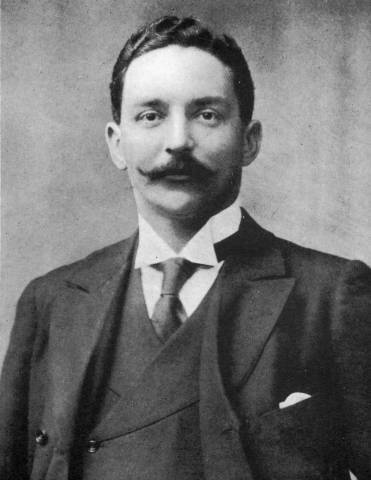 It is uncertain if Ismay boarded on his own, or if Murdoch ordered him in. Nevertheless, Ismay would be branded as a coward by the public for leaving Titanic. Although, Ismay and Rowe denied it, some had claimed that there was some commotion while loading lifeboat C. First class passengers, Jack Thayer and Hugh Woolner along with Third class passengers Emily and Frankie Goldsmith, said that warning shots had been fired into the air to keep men from rushing into the lifeboat. Commotion or not, collapsible C leaves Titanic with 43 out of 47 seats occupied. Originally thought to be 39 passengers aboard, until 4 men were found hiding between the seats later in the morning. What is a collapsible lifeboat? Click here to see the details of Titanic's collapsible lifeboats.